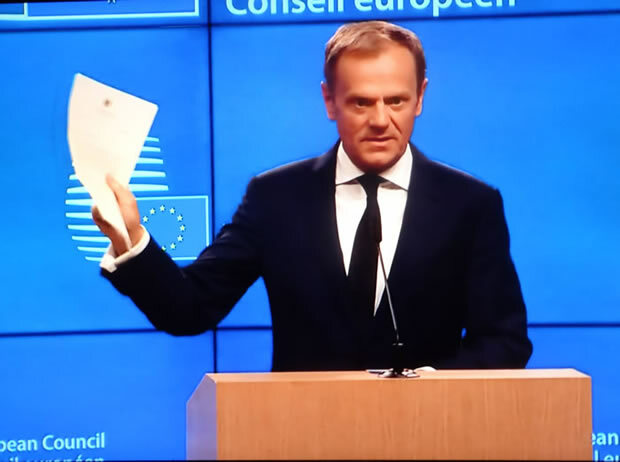 On Wednesday 29th May 2017 Theresa May's post man in Brussels hand delivered a 6 page letter to Donald Tusk the President of the European Council, triggering Article 50 of the Lisbon Treaty starting the formal process for the UK exiting the European Union within 2 years' time, with the negotiations expected to begin during May following the conclusion of the French Presidential elections. 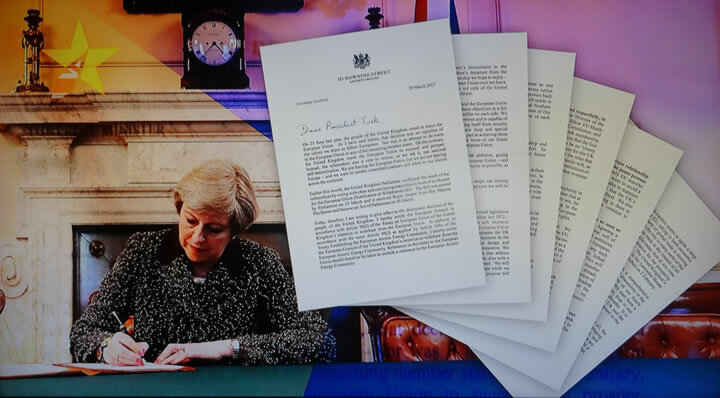 Of note in Theresa May's letter was that whilst she mentioned Trade 6 times, she mentioned Security 11 times, effectively sending an early warning to the European Union of the threats it faces from the likes of Czar Putin's Russia and should not to risk jeopardising Britain’s key role in securing Europe's borders via its extensive security, military and intelligence apparatus that Britain operates to secure the European Union's eastern and southern borders, an EU hard line on trade would prompt the UK to scale back on the defence of Europe, so that European nations pick up the bill for defending Europe rather than Britain and the United States. “If, however, we leave the European Union without an agreement the default position is that we would have to trade on World Trade Organisation terms. In security terms a failure to reach agreement would mean our cooperation in the fight against crime and terrorism would be weakened. and protection of our citizens would be a costly mistake." Whilst in European Commission responded to the letter with a hard line by stating that they would first seek to secure everything that is in the EU's interests such as the rights of the 4 million EU nations living in the UK against 1.2 million British citizens living in the EU as well as demanding agreement on a £50 billion exit fee before any negotiations can begin. Therefore immediately began by blackmailing Britain which acts as a warning shot across the bows of any other EU states that may contemplate breaking free from the European Union Superstate. No separate negotiations between individual member states and the UK. Agreement on an estimated up front £50 billion exit fee before anything else is negotiated. The rights of 4 million EU nationals be agreed against 1.2 million Brit's living in the EU. Poland demanding UK social benefit payments continue for polish nationals residing in Poland such as child benefit. Spain demands Gibraltar as Britain's exit fee. So the great Brexit game is about to begin where on one side is the United Kingdom, and on the other side will be the Rump 27 member state European Union desperate to give the aurora of permanence, stability and unity despite having spent the past decade teetering on the brink of collapse as the euro-zone went form one crisis to the next, leaving most of its member states in an economically crippled state as Germany increasingly calls the economic and political shots. 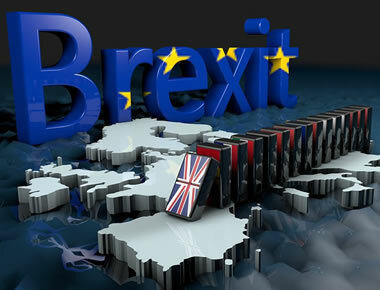 The EU euro-crats fear the BrExit domino effect as Britain exiting leaves behind at deep void that the European Union is unlikely to be able to fill given the fundamentals of the vast majority of EU funding recipient states revolving around a German Central Black hole that no other European Union member state can compete against. Germany like a vampire has been literally been sucking the economic lifeblood out of other European member nations, especially those within the Euro-zone most of whom remain in a permanent state of economic stagnation and worse depression which is exactly where Britain would be if it were not for LUCK that the fools of the last Labour government who having signed Britain up to a disastrous string of treaties never got around to the UK joining the Euro! Apparently it was always on Tony Blair's agenda to mastermind a referendum in favour of Britain joining the Euro sometime between 2003 and 2004 (i.e. before the May 2005 general election) and to be implemented by 2007 as illustrated by the following Guardian article from mid-2003. "My view (and I speak for no one but myself) is that the cabinet should adopt a medium-term road map which provides a target date for entry in 2007. This means shifting the nature of the debate from an uncertain "if" to a clear "when", subject to confirmation by the British people in a referendum, so that the government can start winning round public opinion." Therefore, despite all of the noises about how smart Labour had been about not making the mother of all economic mistakes by joining the Euro, the truth is that it was sheer LUCK that Britain did not join the Euro before the financial crisis started to break late 2007. Labour just never got around to the referendum they had been planning probably since the Euro was first launched and the rest is history. In the Brexit negotiation game that is beginning the objective for Britain is to leave the EU with as much access to the European Single Market as possible without free movement of labour for the least cost incurred in terms of annual contributions and influence on other aspects of British sovereignty. So for the EU the name of the game is SURVIVAL. Therefore the EU will go out of its way to make the process for Britain leaving as painful as possible with the final objective being one of trying to engineer a failure for Britain to actually leave the European Union through destabilisation of the British state by economic, market and political means, i.e. subversion. Therefore the problem at the core of the Brexit Game is that both sides are playing a DIFFERENT game! 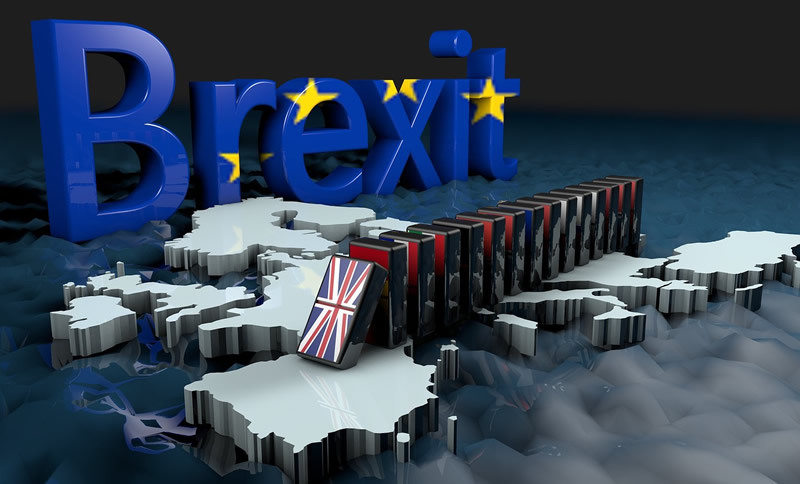 Britain want's access to the EU market at very limited cost, the EU wants BrExit to FAIL so that the EU does not implode. One of the primary mechanism through which the EU can subvert the British state and economy during the BrExit negotiations is via use of the SNP I.S. (Independent Scotland). 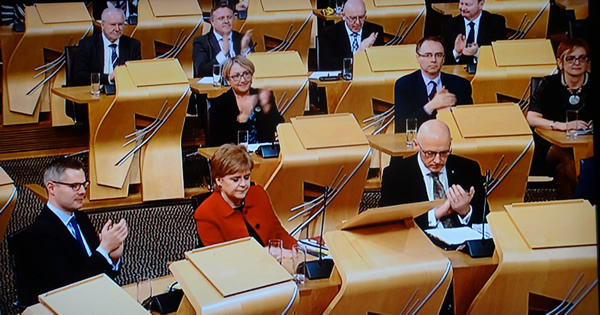 The objecting being to trigger a partial collapse of the UK economy by helping to convince the Scottish people to commit economic suicide by voting for Independence from the UK in a referendum held before BrExit negotiations are concluded. Which is exactly the stance that Nicola Sturgeon's SNP have taken, one of a determination for a hard exit out of the United Kingdom and into the European Union which would include virtually immediately adopting the Euro as an Independent Scotland would have no currency. It remains to be seen just how convincing SNP propaganda will be over the coming months and years as they try and con the Scottish people into committing suicide. I am sure they will greatly exaggerate what will already be greatly exaggerated informal promises from the EU for what an independent Scotland can expect from the European Union, none of which will stand up to close scrutiny. 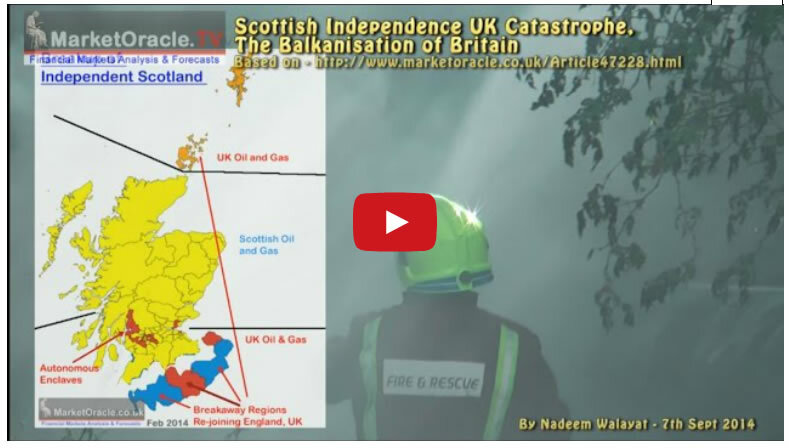 This despite the undeniable fact that the case for Scottish Independence is far weaker today than it was in September 2014, a time when the SNP propagandists were busy gloating about how Scotland would become the next oil rich sheikdom as the oil price soared into the stratosphere north of $120. We'll 2 and half years on and this is what Scotland's fantasy oil revenues would now be looking like, which for the duration has been met by delusional propaganda from the Scottish nationalists that the fall in the price of oil was always just temporary, and that a rebound was just around the corner. Instead the oil price has continued to grind lower slowly turning the Scottish oil industry and Independence economics into dust as the fantasy expectations for oil revenues of £11bn a year would have resolved into a loss of £2 billion a year and where today Scotland's economy is only being kept alive by a £12 billion annual English subsidy that has been supplemented by emergency life support for Scotland's oil industry to the tune of £2 billion, which illustrates the catastrophe that Scotland only just avoided by a whisker in 2014. Despite heavy English support of the Scottish economy, the oil price crash resulted in the Scottish economy effectively flat lining during 2015 AND 2016 which compares against UK GDP of 2% for each year. Despite this the Scottish people mostly remain in a delusional state as evidenced by the landslide for the Nationalists at the May 2016 Holyrood elections as apparently the lack of growth in Scotland is somehow England's fault rather than the nationalist fanatics who remain determined to burn Scotland in pursuit of a highlands fantasy. Since 2014 Scotland has lost over 70,000 jobs across the oil sector which further illustrates the crisis that Scotland is facing as there is no sign of the oil price rebounding to anywhere near the $113 that the likes of Alex Salmond were fantasising about, as required for Scotland's expensive offshore oil industry to recover. Instead Scotland's oil industry is being slowly ground into dust with an estimated 40% of its oil sectors jobs lost to date. So what will the SNP say that the EU are going to promise an Independent Scotland in terms of oil? Promise to buy Scottish oil at double or triple the market price? We'll that's the projections that the Scottish nationalists were making in 2014 of where the oil price would be by now! Triple where it actually is! And on cue as Britain counted down to triggering of Article 50 the SNP the day before fired another missile at Westminster in their continuing program towards the subversion of the BrExit settled will of the British people by voting to demand that another Scottish Independence referendum be held before the BrExit negotiations are finalised with the EU. This despite the fact that in the run up to Scotland's September 2014 Independence Referendum the Scottish Nationalists from Alex Salmond and Nicola Sturgeon down promised that they would abide by the results of the referendum, declaring that it was at least a once in a generation decision if not once in a life time decision. Therefore the SNP run Scottish government instead of focusing on actually governing Scotland to improve the lives of ordinary Scots, instead will waste the next 2 years playing a game with Westminster of repeatedly making demands that the UK parliament will reject and then using the rejections as smoke and mirrors propaganda to mask the failure of the SNP to govern Scotland, whilst fixating the Scottish people towards the fantasy prospects of an IS paradise which would be just as detached from reality as the fantasy the IS of the Levant paints for its fanatical followers. One of the primary propaganda points for the SNP demanding a second independence referendum is so as to retain access to the Single Market. Thus the SNP are seeking to protect trade with European Single Market comprising exports totalling £12.3bn, 8% of the Scottish economy. The disruption of which the SNP proclaims would be disastrous for the Scottish Economy. Therefore the SNP is seeking to EXIT the UK and ENTER the EU single market in pursuit of protecting this £12.3 bln of trade with the EU whilst making unsubstantiated claims that the EU will welcome Scotland into the EU with open arms and thus it would not be necessary for Scotland to actually leave the EU. However these SNP hopes have not been matched by statements out of the EU whose member states fear their own Scotland's demanding their own independence referendums and thus have stated that Scotland would need to apply for membership of the EU that could take anywhere from 2 years to 10 years. Scotland losing access to the UK single market would be near FIVE TIMES as damaging to the Scottish economy then Scotland losing access to the European single market. And this is before one considers the fact that an Independent Scotland would have NO currency, which means Scotland would immediately need to adopt the Euro without any transitional period that is even if the euro-zone would allow such a destabilising event to take place. However, what the SNP propaganda smoke screen tends to be effective at masking in the consciousness of at about half of the Scottish electorate is the fact that this huge disparity in public spending amounting to currently near £2,000 per head of population is as a consequence of the English subsidy. One of English tax payers forced to subsidise Scotland to the tune of £12 billion per annum that fills most of the black hole in Scotland's finances currently amounting to an annual budget deficit of £15bn per annum, some 10% per annum, far beyond that of bankrupt Greece! So if the SNP were able to con the Scottish electorate into committing suicide then at the end of the day once the dust has settled from the resulting chaos of ripping the UK apart then England should start to reap the benefits of no longer having to subsidise Scotland in perpetuity. 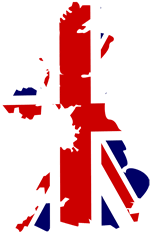 Though of course there will be a heavy cost to England of a breakup of the UK that could total as much as £120bn, especially as a bankrupt Scotland would be in no position to service its share of Britain’s £1.8 trillion national debt. Whilst it could take more than a decade before England starts to turn a profit from the breakup of the UK. For Scotland, well the Scottish economy would have jumped over the edge of a cliff where the impact of the loss of the English subsidy would be felt near instantaneously. The Scottish economy would be in free fall and it would not be too long before Scotland passes Greece on the way down as the loss of £12bn per annum would demand deep cuts in government spending that I am sure would result in the SNP permanently losing power in Holyrood for bringing about such a catastrophe onto the Scottish people. The bottom line is that yes Scottish independence would mean pain for the rest of the UK, probably taking the UK a decade to fully recover from its consequences. However, for Scotland Independence would be catastrophic as there is the real risk that Scotland may not even survive intact from what would follow as bordering regions in severe permanent economic distress would soon start to demand their own referendums to re-join the UK. Thus Theresa May is correct to recognise that the tunnel vision SNP are playing straight into EU's hands by flat out rejecting holding a second Scottish Independence referendum until AFTER Brexit has been concluded. Therefore where the SNP are concerned everyone needs to practice turning down the volume or channel surf each time Nicola Sturgeon appears to screech demanding ever-endums. All of which reinforces my view that the best strategy for Britain is to NOT play the game that the EU is attempting to engineer for the UK of which encouraging insurrection in the north of the UK is just one example.